Illustration ©Dumbarton Oaks Research Library and Collections, Rare Book Collection, Washington, DC. The disruptions resulting from World War II and its aftermath extended to European gardens, including “a large majority of the great historical examples of garden design,” as John S. Thatcher, a former director of Dumbarton Oaks, wrote in the Harvard Library Bulletin in 1971. 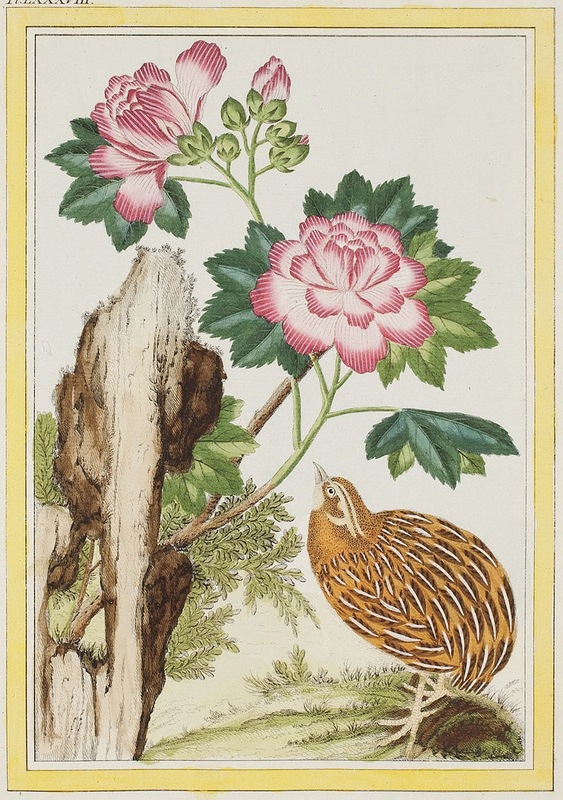 Long-established private libraries on gardens and botanical topics were also threatened. “As these libraries were broken up, dealers often found it more profitable to sell the plates from volumes on architecture and gardens individually rather than to find purchasers for the complete books.” Into this breach stepped Mildred Barnes Bliss, an heiress to the Fletcher’s Castoria patent-medicine fortune who, with her husband, Robert Woods Bliss, A.B. 1900, had given their Dumbarton Oaks estate in Washington, D.C., to Harvard in 1940 (see “Home of the Humanities,” May-June 2008, page 48). With help from Harvard librarians, she set about building the Rare Book Collection at Dumbarton Oaks, preserving intact books that might otherwise have been broken asunder and lost. Today, the collection has grown to more than 10,000 volumes. Its garden-related materials include botanical illustrations, architectural prints, garden views, and garden plans. 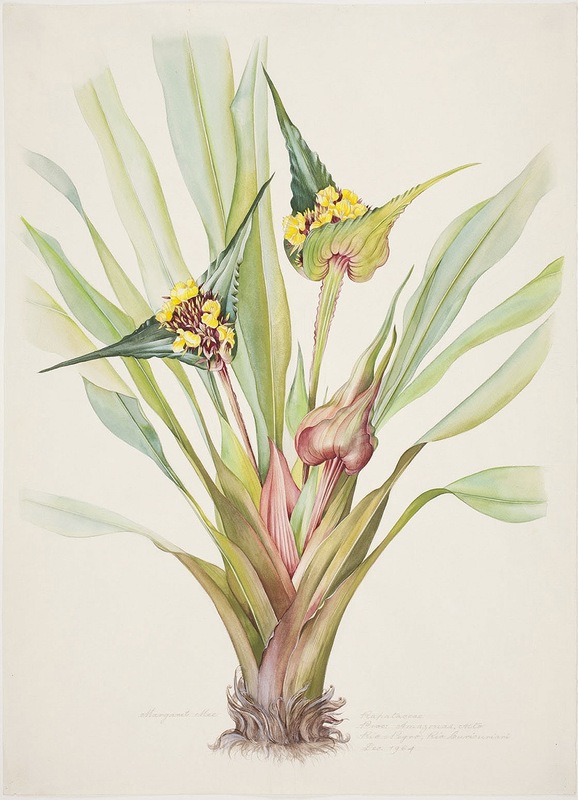 Four Seasons of Flowers, a new Dumbarton Oaks book by Linda Lott, librarian of the collection for more than two decades, showcases a selection of botanical drawings, books, and manuscripts from the sixteenth through the twentieth centuries. The second image above, for example, is a mandrake (Mandragora autumnalis) painted by Giovanna Garzoni (1600-1670), known for her still-life paintings of fruits, vegetables, and flowers. Scientific accuracy and painstaking attention to detail characterize her work. (Though probably not in Garzoni’s hand, the scientific name of the plant often appears at the top of the plate in ink.) 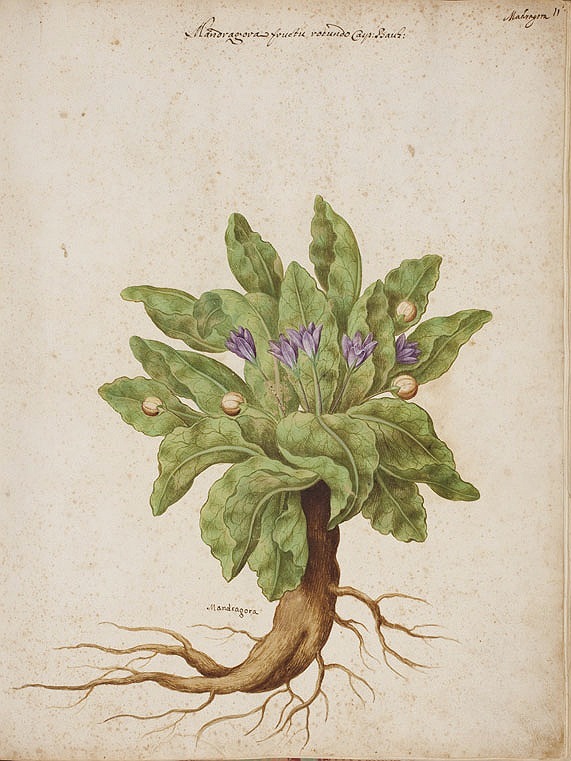 Superstition surrounds the poisonous mandrake root, which was sometimes worn as an amulet to cure infertility; that may explain Garzoni’s careful rendering of the root structure.